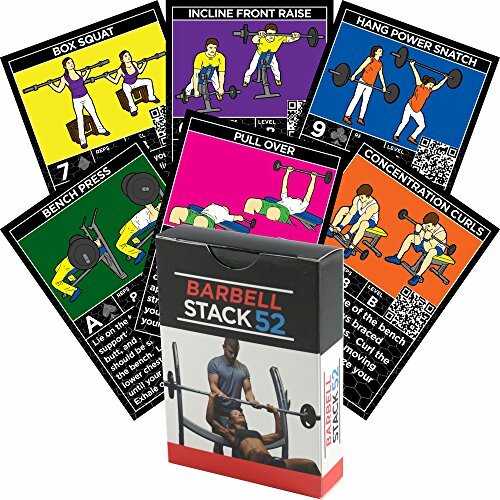 Stack 52 Exercise Card Gift Box Set. Dumbbell, Kettlebell, Resistance Band, and Suspension Workout Card Games. Video Instructions Included. Fun Home Gym Fitness Training Program. Stack 52 Barbell Exercise Cards. Weight Lifting Playing Card Game. Video Instructions Included. Bodybuilding, Strength Training, and Crossfit Workouts. Home Gym Fitness Program.